Although Panarea is known as the destination for the rich and famous, the good thing about natural beauties is that they are open to anyone. The Cala Junco Bay with imposing cliffs colored by the steaming fumaroles is a real treat when you’re sailing on your charter yacht around the smallest Aeolian island. You simply cannot come to the Aeolian Islands and not see the active volcano on Stromboli erupting molten red lava. As you can guess, the scene is especially impressive at nightfall. However, it can sometimes just cough up red clouds, but it is still a must-see. “Little pools” are accessible only by boat (lucky you) and include several amazing coves with turquoise water and beautiful sea beds. An amazing sea cave with an interesting play of lights and deep blue water. 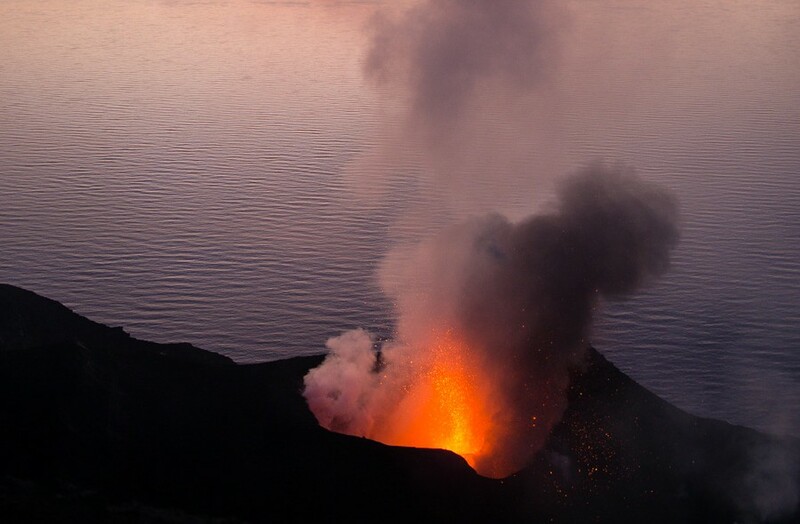 Nearby is the impressive Faraglione di Canna, an 85m high rock leftover from the island’s volcanic activity, home to several interesting bird and lizard species. Lipari is the largest of the Aeolian Islands and has a lot to offer, but pumice caves are something you won’t find in other parts of the world so easily. The white of the pumice, combined with the turquoise of the sea provide for a “Blue Lagoon” feel in Lipari. 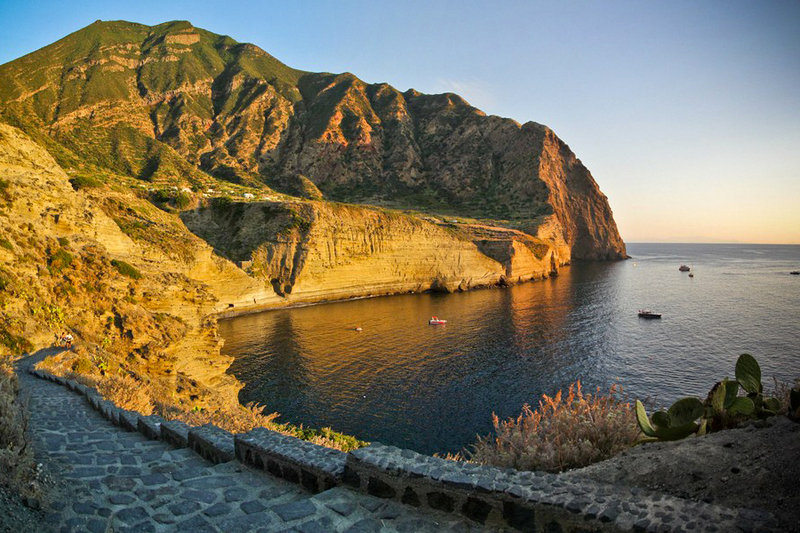 Salina is known as the greenest of the Aeolian Islands, with caper fields and Malvasia vineyards. However, its most beautiful attraction is the bay in the village of Pollara, created by an underwater crater. 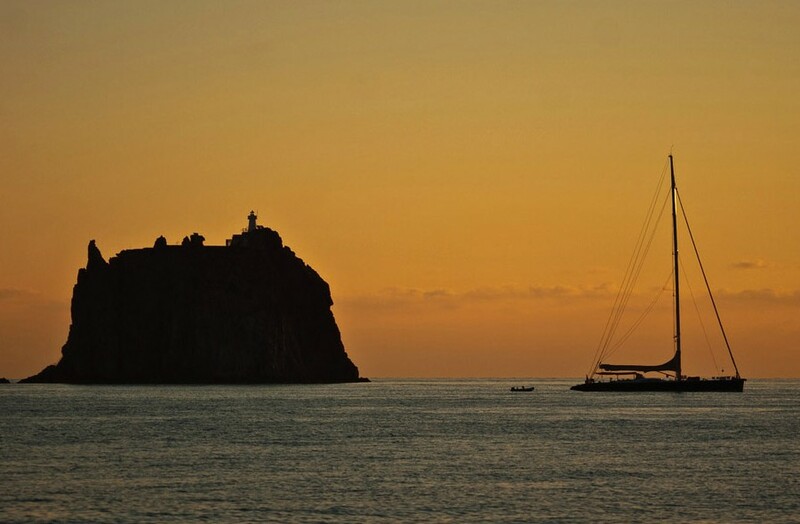 The beach was featured in the movie Il Postino and is the place of some very beautiful sunsets.